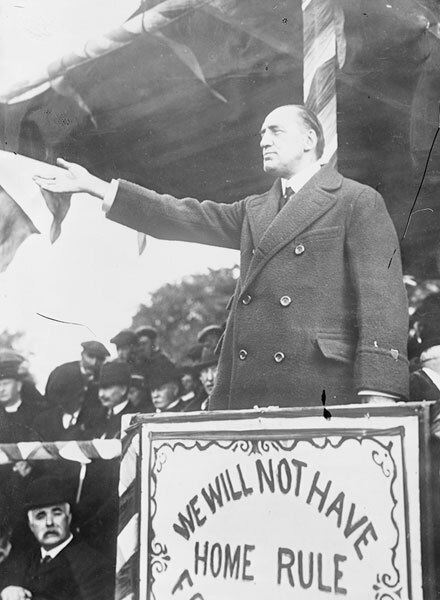 At a huge demonstration organised by Captain James Craig on his estate, Sir Edward Carson addressed 50,000 men from Unionist clubs and Orange Lodges. He told them to be prepared that on the morning Home Rule passes, "to become responsible for the government of the Protestant Province of Ulster." Sir Edward Carson was born in Dublin and educated at Trinity. He was one of the most brilliant lawyers of his day and had achieved fame in the 1890s when he led the prosecution of the author Oscar Wilde. 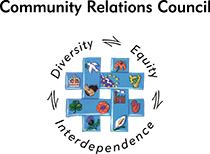 He agreed to lead the Ulster Unionists, as he hoped that if Home Rule could be prevented in Ulster it would not be applied to the rest of the country. 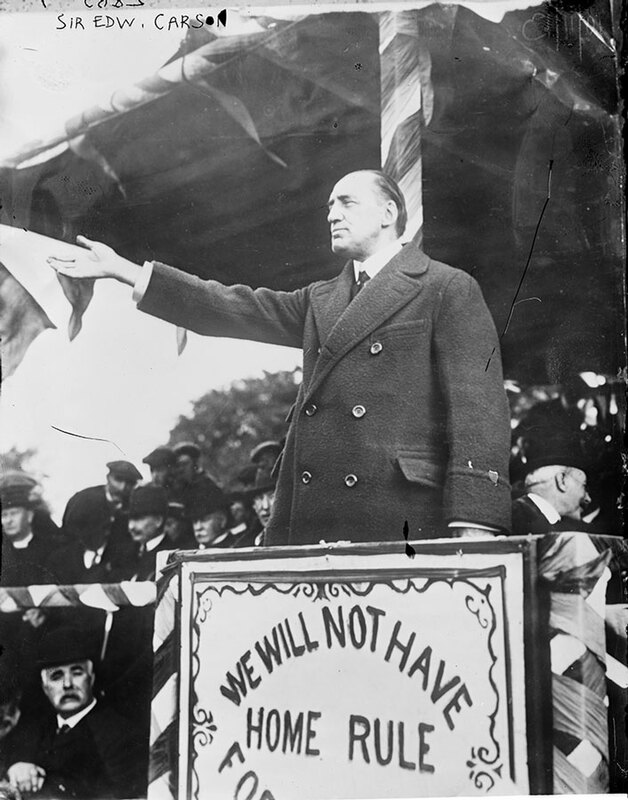 Sir Edward Carson addresses a unionist rally.